This soft and delicate floral design has soft pink tones emerging beautifully. 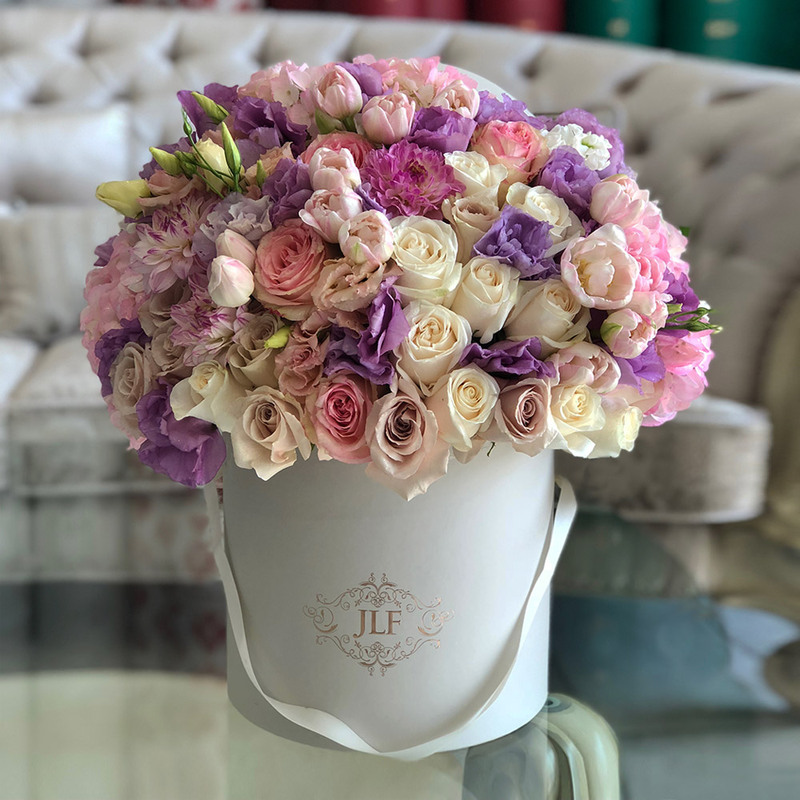 The arrangement is composed of white and blue roses, pink tulips, lavender lisianthus, dahlias and light pink hydrangeas. The arrangement in the photo is in a medium size box.